Take the Red Line train to the Union Station stop. Exit the platform and follow signs in the direction of Amtrak or Amtrak/First Street. After you go up the first set of escalators and through the Metro turnstile, exit the building by going down the ramp to your left, and through the doorway onto First Street NE. Do not go up the second set of escalators, which take you into Union Station itself. Once on the sidewalk, turn right and walk about three blocks. You will pass under three overpasses, the third overpass is H Street NE. 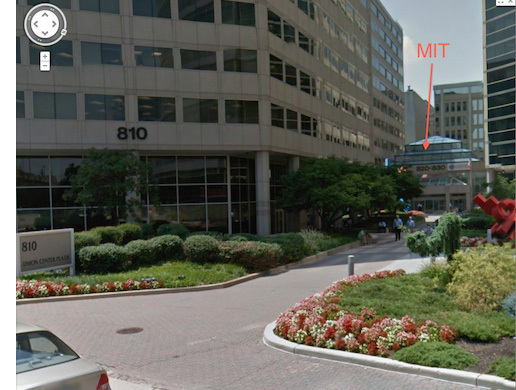 The MIT Washington Office is located in the cluster of buildings on your left just after the H Street overpass; there is a sign indicating the offices of CNN in front of the plaza. Take a left into the cluster of buildings. Our offices are located at 820 First Street in the rear of the courtyard, the building is marked Department of Education. Picture identification is required to enter the building, and an appointment is needed to visit the office. Important note: if traveling on foot or in a vehicle, do not turn onto H Street from any direction. Doing so will divert you onto the H Street bridge, taking you over and past our building.